Samsung has released the latest projected figures for their first financial quarter (January-March), ahead of their April 27 earnings announcement. All told, Samsung estimates their operating profit will be nearly double the previous year at 5.8 trillion won ($5.1 billion) for the three-month period. The South Korean firm says the increase in profit is courtesy of their flagship Galaxy smartphones as well as Note mini-tablet and phone devices. They estimate sales for the three month period to be between 44 trillion won ($39 billion) and 46 trillion won ($40 billion). The phone maker is also expected to report record-breaking sales of around 44 million smartphones for the period, up 25% from the previous quarter running October to December. "There was a big surprise in profit, while revenue was in line, which suggests a stronger-than-expected profit margin from the handset division thanks to robust sales of high-end models like the Galaxy S and Note," said Choi D-Yeon of LIG Investment & Securities. "Handset margins are estimated to have topped 20% and profits from the division also topped 4tn won." Other divisions of the technology giant have been suffering, though. Prices for memory chips have been steadily falling in large part due to massive oversupply. The natural disasters in Japan and Thailand last year have also resulted in a dip in electronics production relying on components manufactured in the affect regions, with high inventory levels then placing further pressure on chip pricing. "With memory chip prices rising, chips will play a big part in second quarter profits," said Kim Sung-in, a chip analyst with Kiwoom Securities, speaking with the BBC. "Expectations for operating profit will reach somewhere between 6.5tn to 7.5tn won." While the future looks prosperous for the technology firm, analysts have warned that the rivalry with Apple is set to get even more vicious. "Samsung and Apple are expected to launch the new Galaxy S and iPhone in the second quarter, and they will engage in full-fledged war," said Lee Ka-keun of Hana Daetoo Securities. 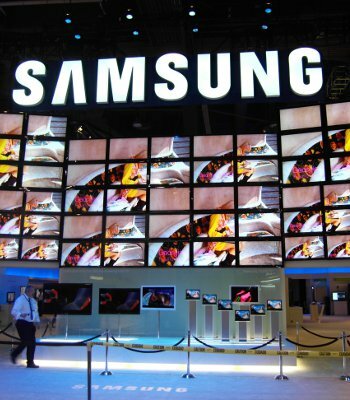 The legal battles being waged are likely to have an impact on the potential growth of Samsung. Many analysts fear that the increased competition between the two firms will eventually lead Samsung to reduce prices to attract more customers, hurting profits. Samsung also announced plans to open independent retail stores in Canada to let consumers "experience the Samsung brand in a new way." The Yorkdale Mall in Toronto is rumored to be the first location to open a store with others to follow later.